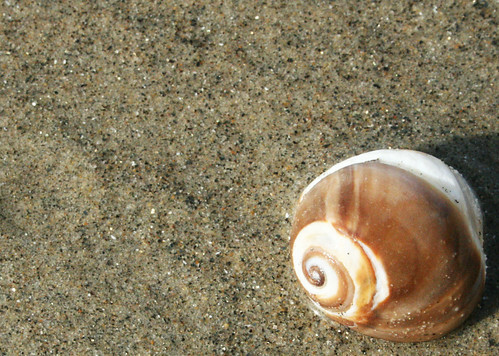 Having lived at the beach for most of my life, I consider myself to be an expert beachcomber and other than being an artist, it is truly up there as one of my favorite things to do. 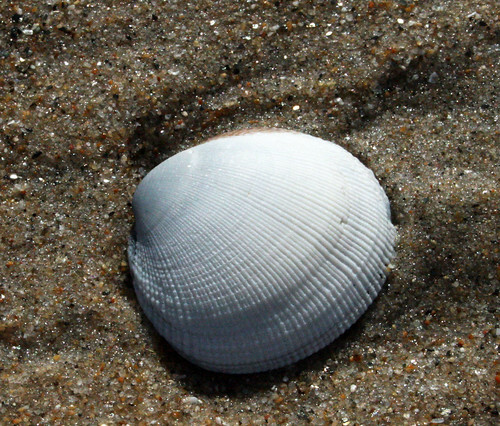 Is there such a thing as a professional beachcomber?! 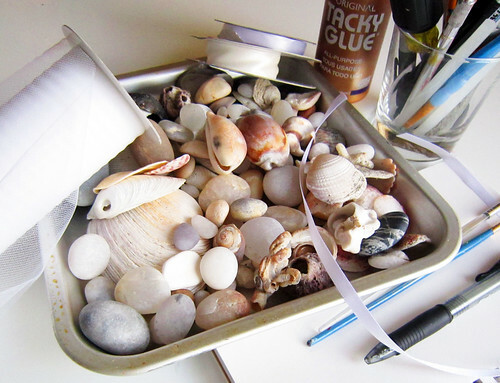 work around a beach theme, find all my decorations at the beach or make the rest- everything inspired by the sea. This is the year that I challenge myself to do it! So for the last few days I've made my way down to the beach. 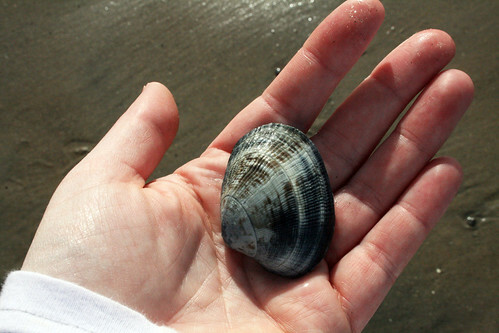 Lately we've had some minus tides (translation: VERY low tide) and this is the best time to go beachcombing. 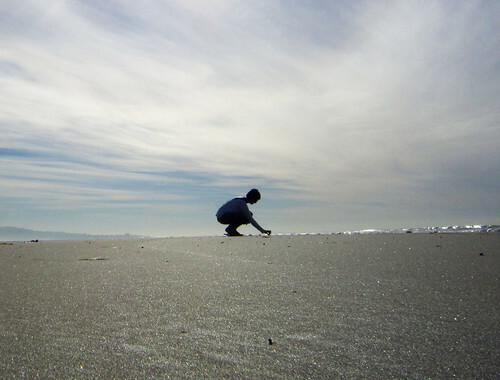 I cover a lot of ground when I'm in "beachcombing mode" and prefer to go alone (everyone I know runs out of patience after about 30 minutes) because I spend hours and walk miles . I traverse back and forth from the water line up to the dry sand, covering everything in between and then back down to the water line- back and forth for miles. 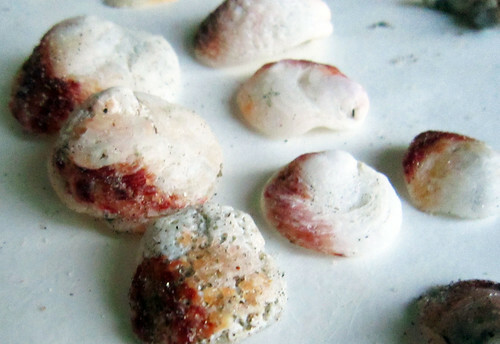 I sift through tiny pieces of shells. This is where you can find teeny tiny treasures. I crawl around on all fours- sometimes this is the only way to see everything. until I find the perfect one. 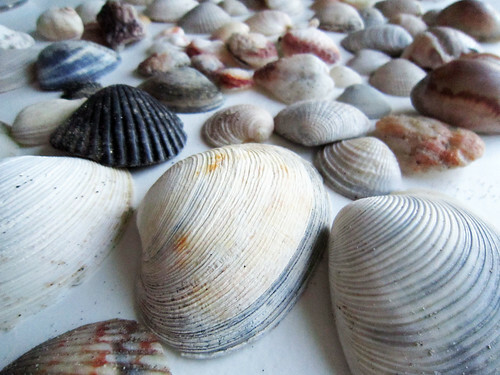 I only look for shells that will fit with my ideas- otherwise I could come home with WAY TOO MANY treasures! and sift through my findings. and now it is time to get to work! Alisa you are truly blessed with where you live. We are snowed in at the moment and although it is very pretty it is very limiting when you cannot get out! oh my! can't wait. love this post. I'd have kept up with you! Can't wait to see what you create. I can't wait to see what you do! 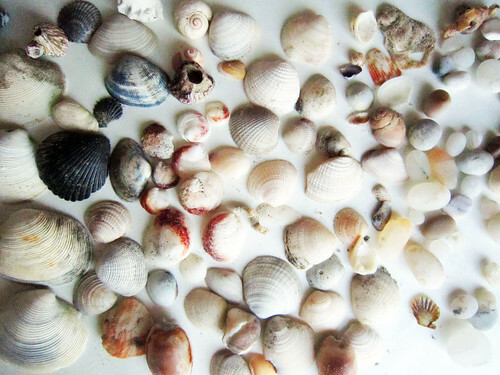 I LOVE beach treasures! I, too, am looking forward to seeing what you come up with! The beach has always been fun for me, no matter where it is. Very relaxing! Love this post! 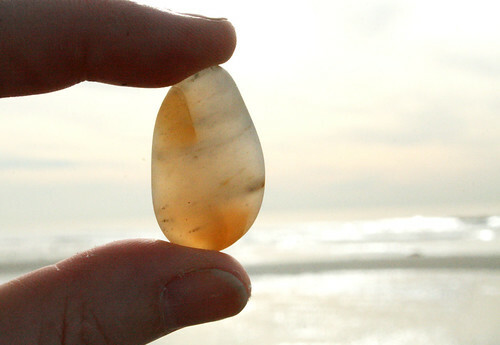 I'm dreaming that I am on that beach and finding such fun treasures! Can't wait to see what you create with them. wow beautiful! can't wait to see!! We aren't allowed to take stuff off the beach at Doheny as it's a nature preserve. So I have to look and leave. 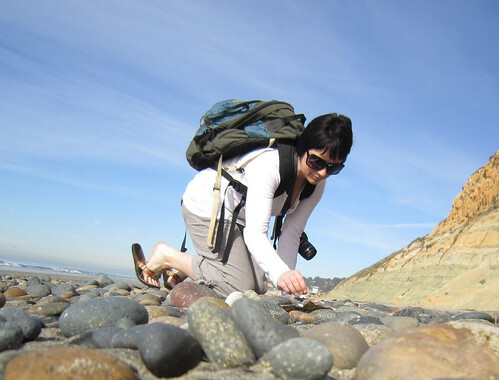 Hope to do some early morning Beachcombing next week while I'm in Redondo Beach. Can't wait to see what you come up with. Your ideas are so very inspiring! Can't wait to see what you do with these. 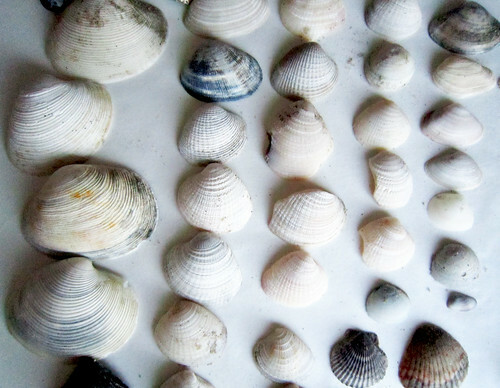 I have similar photos of sheets of great shells from my East Coast beach combing during the summer. 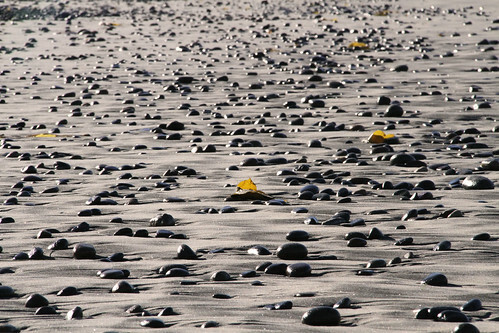 Love beach combing - I can get lost in the treasure hunt. 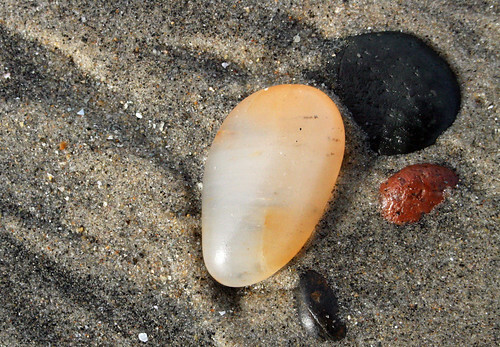 Always searching for those prize agates, unique colored rocks and shells... Just curious, what camera and lens do you use for your beautiful crisp photos? They're enchanting! Oh my.. u are so blessed to be living where u are.. hubby and I hv a dream of living by the sea one day too.. check out my reverb 10 post a bit down on my blog today! Love your post.... I can't wait to see what else u will share.. beautiful! I too do what you do on our Aussie beaches. Je crains avoir fait un peu la même chose ces derniers jours!!! mais avec tant de plaisir. My daughter and I created a "Sea and Sky" tree a few years ago. We glued ribbon to our collection of shells for ornaments and added small birds to the tree (just because we like them). We have a starfish for a tree-topper. I'll have to take a pic of it and post it when I get it up this year. Can't wait to see your finished product! 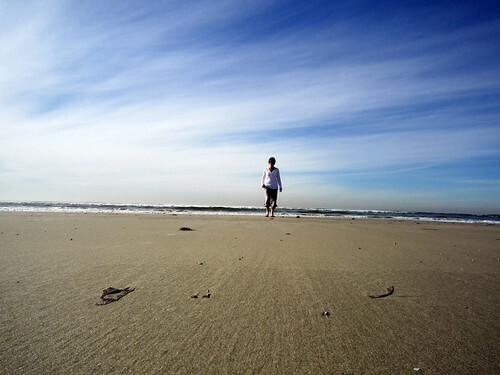 Thirty minutes is no time at all when wandering the beach! What fun! 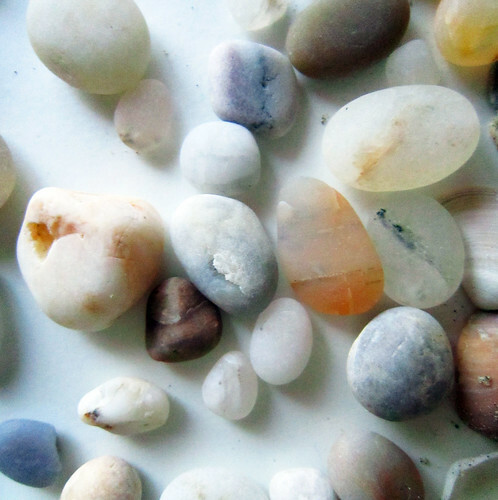 I love beachcombing!And what I collect most is sea glass!I would love to see your sketchbook with painitngs of sea shells,stones and sea glass.Ariadne from Greece! Love it!! ;-) I had actually been thinking of making a similar tree this year. I love the beach & I'm so envious that you get to live there full time!! Have a Merry Christmas! I just catching up on the blogs I read and came across this post and my heart just jumped. 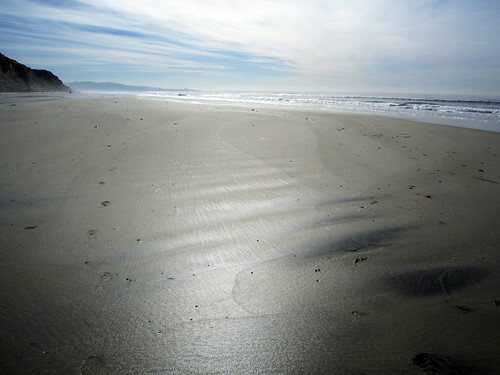 Oh, to live near and comb the beach. I need to move! I love coming home with little treasures. Right now I live a mid-sized city and mostly I pick up scraps of metal I find in the gutters. Just looking at your pictures gives me a sense of calm. 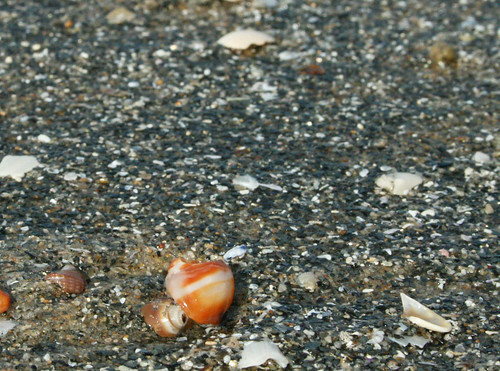 What Beach did you go to find the beautiful shells and rocks?